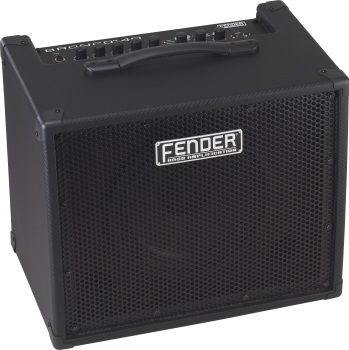 Fender’s new Bronco 40 is a compact, lightweight amp that kicks out a wealth of inspiring tones designed to inspire. It’s loaded with versatile preset amp tones and built-in effects that make it the bassist’s perfect personal-practice and recording companion. With free Fender Fuse™ software and USB computer connectivity, creating, editing, storing and sharing your sounds is easy. The Bronco 40 is an amazing value for the bass player who enjoys having sonic options to enhance their creativity.